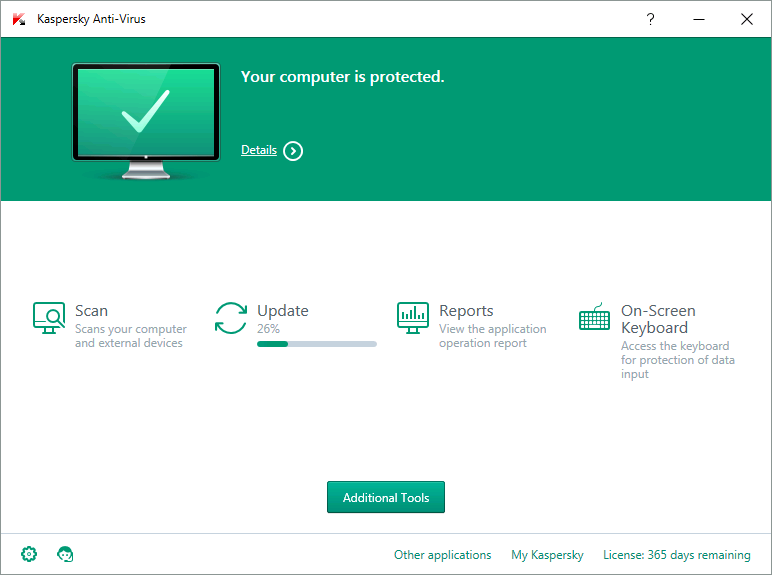 Kaspersky Antivirus Free Download 2016 Edition latest version 16.0.0.614 for Windows 32/64 bit. Get Kaspersky Antivirus offline setup, standalone installer. 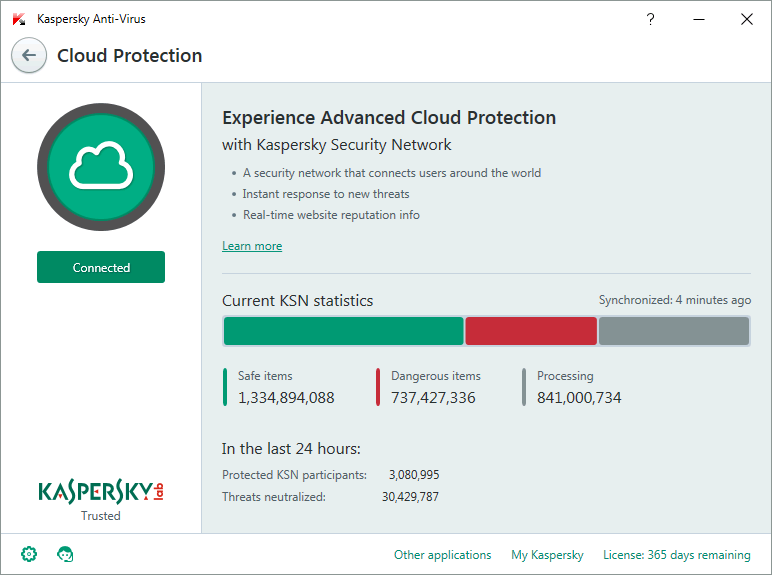 Kaspersky Anti-Virus offers improved protection against many types of computer threats. The application is designed to help your system fight against viruses, malware and other types of threats. Every form of attack is taken care by a specific module of the antivirus designed specially for it. You can enable, disable or configure every one of these modules. The File Anti-Virus guards your system files from infection by scanning all launched, scanned or saved files. This process is automatic. You have 4 types of scanning: full scan, selective scan, quick scan and vulnerability scan. A full scan checks for unwanted objects in system memory, things which are launched at system startup and all data storage devices like internal and external drives. The selective scan allows you to check desired data for viruses and other threats. If you only want to check for things infected on system memory, disk boot sectors or objects loaded at start up then you can use the quick scan method. This process is pretty fast. A vulnerability scan will check the construct of applications where there is a potential vulnerability that can be exploited. This scan will point issues found and all vulnerabilities must be fixed or removed. All infected files that can’t be disinfected will be deleted and a copy of the file will be placed on Quarantine. Your web browsing activity is safer because the Web Anti-Virus will check all visited websites for dangerous scripts and preventing them from being executed. You find more protection against internet related threats by using the Kaspersky Internet Security edition. It includes components to improve the fight against phishing and firewall attacks. Also, all incoming and outgoing email messages are going through a verification process and those infected won’t we be available. The On-Screen Keyboard offers protection against keyboard interceptions and keyloggers. By using this feature all your data typed using the on-screen keyboard is safe. It’s highly usable when you have to enter sensitive data like account passwords and online banking stuff. Use it only with Microsoft Internet Explorer, Google Chrome or Mozilla Firefox. If you use it with another browser, your data entered through the On-Screen Keyboard will not be protected. Remember to update the databases right after the application is installed. You can also download AVG AntiVirus Free 2016 if you want a totally free antivirus. Protection against multiple types of threats. On-Screen Keyboard: protection against stealing data entered on your keboard. URL Advisor: nice tool which automatically checks the content of a link before you click on it. Click the link below to start the Kaspersky Antivirus Free Download 2016. If you have any problems while downloading please leave a comment below. 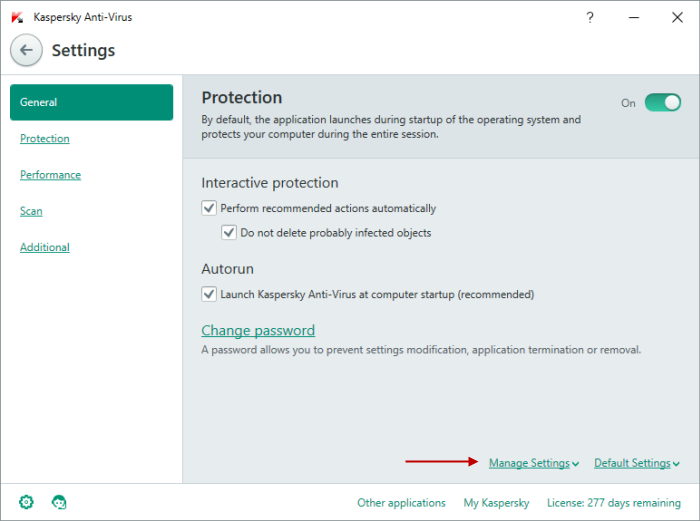 After the page opens remember to choose the “Download through your browser” option to start downloading Kaspersky Antivirus 2016 Edition Offline Installer, Standalone Setup.